If you are a long time follower of Fratellowatches you probably already know that we are huge fans of Omega’s Speedmaster collection. We do not only care about the Speedmaster Professional ‘Moonwatch’, we also like a lot of the other Speedmaster models that Omega introduced since 1957. Whether it is the modern Speedmaster 9300 chronograph, a vintage CK2915 Speedmaster pre-Professional or something completely different like a Speedmaster X-33, we (almost) love ‘m all. 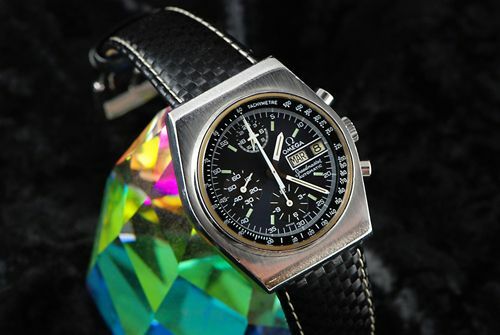 Like this Speedmaster Day-Date ref.176.0016 for example, sometimes being referred to as the Speedmaster Mark 4.5. We decided to do a short write-up on a Speedy every Tuesday. Just because. If you are willing to play, please send us a decent picture of your Speedmaster (together with some background information) and we’ll probably use it for our Speedy Tuesday topic. See details below. Today, we start with this Speedmaster Day-Date ref.176.0016 with an Omega caliber 1045 movement. This particular watch is part of the Speedmaster caliber 1045 family, based on the use of the famous Lemania 5100 movement. Omega used different cases and reference numbers for this type of Speedmaster Day-Date Automatic. The legendary Chuck Maddox did an excellent write-up on these models in 2001 (and can be found here). This tonneau shaped watch originally came on a stainless steel bracelet, but can also be worn on a strap (as you can see). To make it a bit more complex, there seem to be two versions of the 176.0016, one that is able to wear it on a strap and one that’s only usable with its integrated stainless steel bracelet. Check the Chuck Maddox article for in-depth information about this. 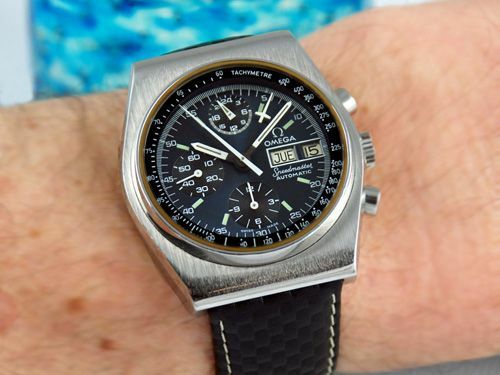 The Lemania 5100 movement (Omega caliber 1045), is famous for being a work-horse in several chronograph watches (besides Omega, a number of other brands used them as well, including Sinn and Fortis for example). This movement has a 24 hour hand and a centralized chronograph minute hand besides the centralized chronograph second hand. It is more common to have a small sub register with a chronograph minute recorder, but at Lemania they decided to use a centralized one. Photos are used by courtesy of Zhege. 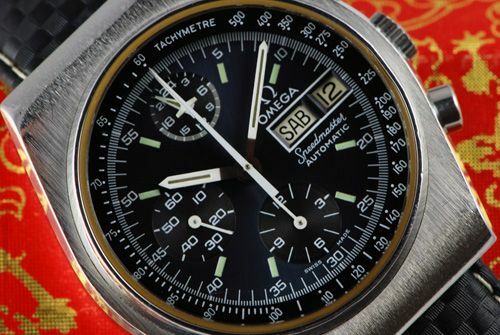 Enter your own Speedmaster for Speedy Tuesday by sending a picture and an introduction to: speedmaster @ fratellowatches . com (remove spaces).